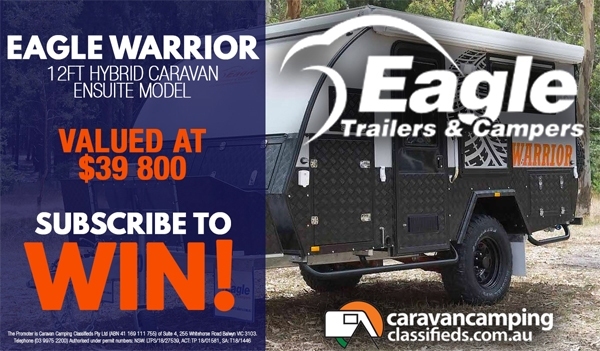 Eagle Warrior 12FT Hybrid Camper valued at $39800 + orc. Complete the form to enter. from the winners nearest Eagle Caravan dealership).